Vengeance is not a theme we usually associate with The Kinks songs of Ray Davies. Melancholy, romance and nostalgia flow through the best of his work, like the Thames rolling beneath lovers meeting on the bridge in Waterloo Sunset. And yet, when Ray Davies needed to hit back in anger, songs were wielded as weapons. "It was the only ammunition I had to fight with," Davies says. BBC Radio 4's Mastertapes examines the 1970 album by The Kinks, Lola Versus Powerman and the Moneygoround Part 1, which traces a journey through the rip-off world of the pop music industry. "The music biz has always been corrupt," he says. "It think it was common knowledge what was happening, but no-one really wrote about it or sang about it before." Davies reveals that even Dedicated Follower of Fashion, a comic musical romp through the Carnaby Street boutiques, was written in anger. "I had a quarrel with a leading designer. He said 'Your flares are too wide.' It was handbags, but at the end of it I thought, 'I can get you, I'll write a song about you.' And did." 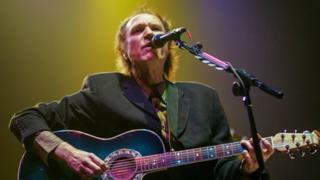 Davies says that preparing for his edition of Mastertapes - a series which takes artists back to the making of a key album from their career - made him think again about his motivation for writing songs. He says that as a working-class artist, growing up in north London, he realised that "my lyrics were my only power". On the Lola album, it's moguls, shysters, accountants and lawyers who find themselves in the songwriters' cross hairs. "It was one bad deal after another," Davies remembers. "The music establishment was based on the old time agency power and the old music business ethos." The result, according to the former Kink, was that the band was "ripped off". Plans for part two of Lola Versus Powerman and the Moneygoround Part 2 were scrapped and Davies turned his attention to writing The Kinks' next album, Muswell Hillbillies. He explained the original two-part concept of the Lola project: "In the first part the hero confronts the beast and wins. In the second part, the hero becomes the beast." Forty years on from first taking on the establishment at their own game, Davies may have a new fight on his hands. He reveals that not only had he written and recorded demo versions of some of the songs for a Lola sequel in 1970, he's considering finishing the project four decades later. The question now is, who owns the rights to the concept? To find out, he is planning to mount a legal challenge. "It's a technical issue. Does the record company own everything or only what was released? It's a legal argument that I'm about to embark on. "Those all-in deals, the corporations want to own everything. But they don't own ideas, and that's what my fight is about." He says that, if successful, he would consider making the long-lost Part 2 of Lola Versus the Powerman and The Moneygoround. The other fight that Davies has been involved with since The Kinks first got together in 1964 was the one with his younger brother, guitarist Dave Davies. And so to the perennial question of whether the famously fractious siblings can be reunited one more time on stage or in the studio. Will The Kinks ever get back together? "It's like Rocky Graziano coming out for one last round with Sugar Ray Robinson", he says with a wry smile. "You've gone 14 rounds, you've got to come out for the 15th. You glaze over at the prospect but it's the one round you just might win." The cryptic answer delivered to a Maida Vale studio full of die-hard Kinks fans prompted some audible gasps. Seizing the boxing metaphor, I asked Ray when the bell might ring. He saw that one coming and ducked again. The brothers are still, he said "in that long minute" between rounds. The interview will be broadcast on Tuesday 27 November on BBC Radio 4's Mastertapes at 1530 GMT.